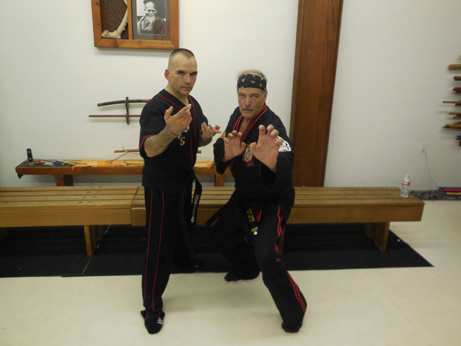 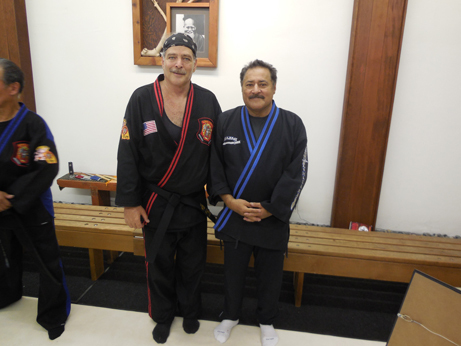 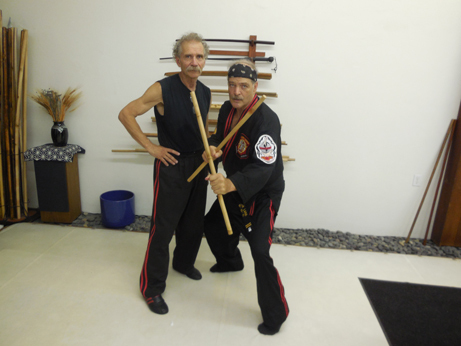 Bob Brown, left, a Whittier resident promoted to seventh degree black belt, is pictured with Robert Rosenblatt. 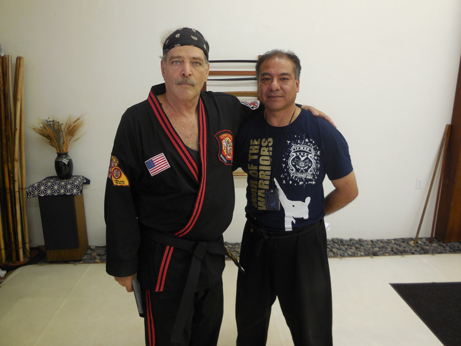 Gabriel Zayas, right, is pictured with Robert Rosenblatt. 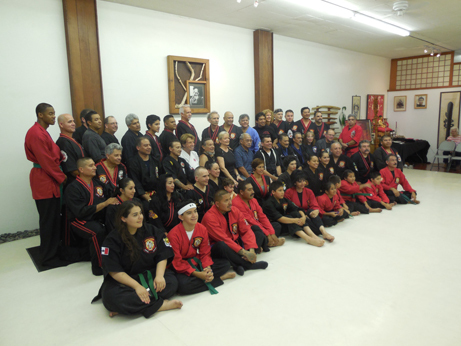 Zayas, who holds a eight degree black belt, is the founder and CEO of the International Polynesian Martial Arts Organization. 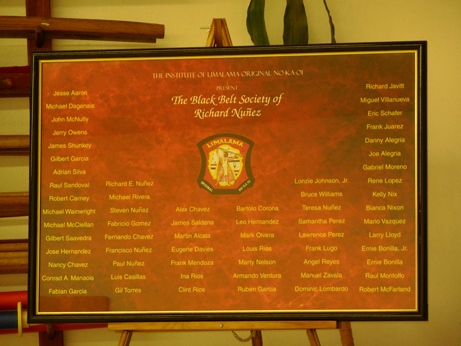 Members of the Black belt Society of Richard Nunez are listed.